A survey by UpGrad reveals that while the analytics jobs have increased in India, close to 76,000 analytics positions are yet to get filled. Online courses and certification company, UpGrad recently revealed the findings from the study titled, “Analytics and Data Science Jobs Survey 2018.” The study found that the number of analytics jobs has increased by 76 percent between 2017 and 2018. However, close to 76, 000 positions related to analytics remain to be filled in India. The industry-wise analysis noted that the Banking and Financial Services industry has seen the maximum demand for Data Science professionals with close to 40 percent of jobs coming from the sector alone. Citing the findings, Co-Founders Ronnie Screwvala and Mayank Kumar shared that Data Science market in India has seen phenomenal growth across sectors with various companies catering to the consumer’s different needs. However, there is a lack of job expertise in this sector. One of the reasons for unfilled job vacancies is the lack of talent available in the analytics field. In fact, according to a recent survey published by People Matters and Manipal ProLearn, “Assessing the most desired skillsets for 2018,” found that Big Data & Analytics is among the top five wanted skills by the recruiters. 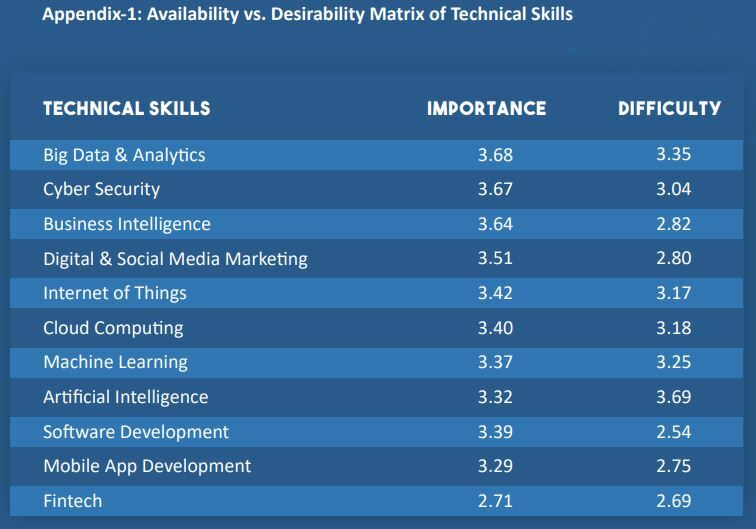 The below graph shows the “Availability vs. Desirability” matrix of the skills by the organizations. The above graph depicts that there is a need to upskill/reskill the current workforce in each current technologies that are inevitable for business growth. 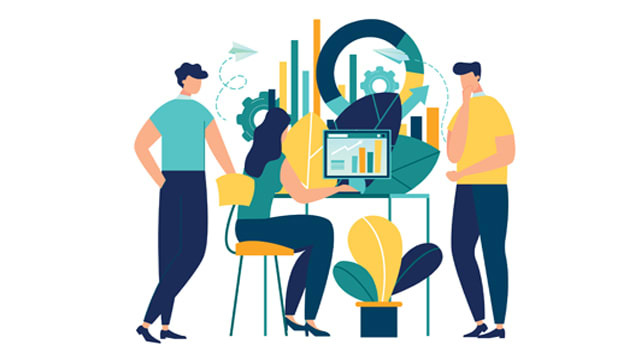 Therefore, as the business continues to get disrupted and demand for the top talent continues to evolve, it is crucial for organizations to come up with ways to upskill their current workforce on capabilities needed at the organization and train candidates to help reduce talent deficits.